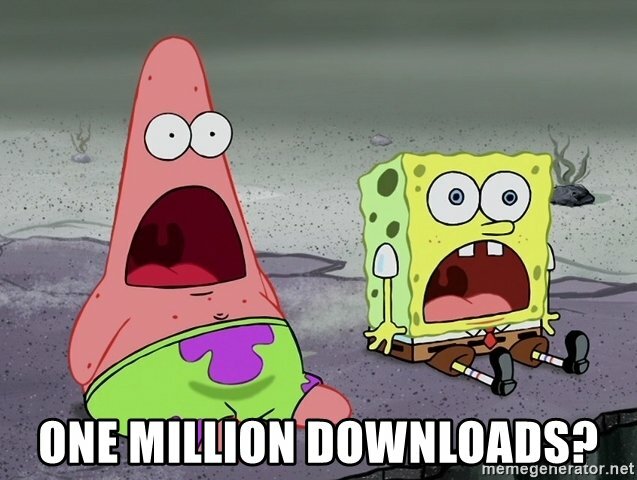 It's a little hard to believe, but yesterday the download count on the Art + Music + Technology site went over 1,000,000. That's one million downloads, which represents a lot of human time spent listening to my croaky voice talk to some of the amazing people in the art and music technology worlds. Thanks to everyone that listens, and special thanks to my friends at Synthtopia.com, Cycling 74, Ableton and 20 Objects for their help in making this happen. Now to snag the next million!